California has received a $650,000 grant from the U.S. Small Business Administration (SBA) to help California small businesses boost trade and exports abroad. The grant was allocated to the Governor’s Office of Business and Economic Development (GO-Biz) and the California Department of Food and Agriculture (CDFA). The grant is part of SBA’s State Trade and Export Promotion (STEP) program, which awarded grants to 47 states and territories to support activities to increase exports by U.S. small businesses. SBA administrator Linda McMahon, a member of President Trump’s Cabinet, announced the grant award on September 28 in Washington, D.C. The awards were created to advance key priorities in the 2010 President’s National Export Initiative (NEI), namely to expand the base of small businesses that become exporters and to make the exporting process as easy as possible for small businesses. California has received STEP funding in previous years. This is the second year GO-Biz and the CDFA will jointly administer the program. In addition to the federal support, California and its partner agencies will provide $349,999 in matching funds, bringing the total program funds to $999,999. 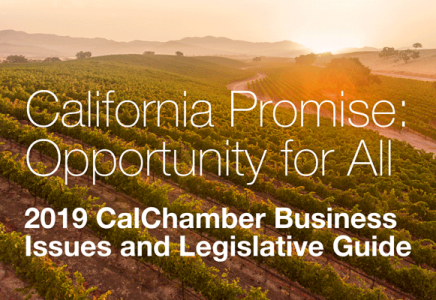 GO-Biz and CDFA will work with other partners, including the California Centers for International Trade Development (CITD), the Los Angeles Area Chamber of Commerce, and the Orange County Business Council, in providing trade promotion programs. GO-Biz and CDFA will use the funds to help small businesses participate in activities like foreign export trade show exhibitions, foreign trade missions, tailoring the sales of products and/or services, foreign market sales trips, subscription services provided by the U.S. Department of Commerce, as well as designing international marketing campaigns, and more. For more information on the California STEP program, visit California STEP. For additional information on SBA’s STEP program and the fiscal year 2018 awardees, visit the Small Business Administration.